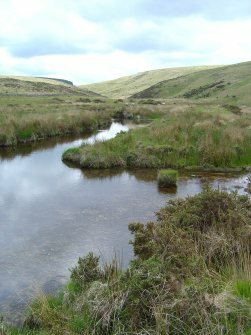 Dartmoor is wonderfully rich in resources – both human and natural. Six thousand years of hill farming, a remarkable building tradition (houses, churches, industrial structures etc) in stone and timber, the working of tin and other minerals, and the use of water, wood and fire have marked a unique landscape now celebrated for its wildness, its distinctive plants and animals, its outstanding archaeology, its rich historical documentation, and the creative response of artists, craftspeople, musicians and writers. The Dartmoor Society was formed in 1998 to be ‘an independent voice for those who find Dartmoor a source of livelihood or inspiration’ and, since 2005, has been a Registered Charity (No. 1111066), with broadly educational aims. We are not affiliated to any other body. The reputation of the Society is that of a respected, independent, and clear thinking group, whose statements are based on reliable data. We have successfully raised the profile of many key aspects of contemporary Dartmoor, such as renewable energy, the future of orchards, the role of the National Park Authority, and the military presence, to name but a few, but believe there is great potential to explore many others. Research is essential for good decision-making. Without sound background information, many policies and actions can be flawed in concept and execution. As a wholly independent body, The Dartmoor Society has a special and valuable role to play in ensuring that high quality information contributes to the well-being of Dartmoor and its communities. Through the Dartmoor Society Research Fund we believe we can foster specific research on key subjects, which has not been, or would not be, undertaken by others. We might commission an acknowledged authority on a specific topic, or invite applications for a chosen project. We are also excited about the possibility of working in partnership with other bodies. ecological research, e.g. on common species such as lizards, or on specific vegetation types, such as woodland or blanket bog. analysis of housing policies and development ‘control’, e.g. the number of dwellings allowed to be built of certain sizes, styles etc. recording memories of quarrying, warrening, forestry, military training, china clay working, the woollen industry, shopping, farming etc. Sharing the results – as a paper publication, electronically, or deposited in an accessible archive or library – will be paramount. A Register of those interested in applying for a grant from the Dartmoor Society Research Fund will be kept. Please write to the Society (PO Box 570, Torquay, TQ1 9JB) if you would like to be on this register, giving on outline of your proposal. The Fund has an initial target of £25,000. The interest generated from the fund will be used specifically for research. Please give generously to this exciting venture. To make a donation, please download the form, complete it and post it to us together with your donation. You will need the free Adobe Reader software to print the form. All donations will be acknowledged. Thank you very much for your support. Page last updated on Wednesday 2nd June 2010.